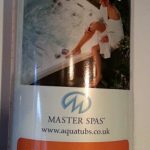 Hot Tub Flush 500ml (swirl away replacement) This English made product is specially formulated to flush out pipework and plumbing of the build ups of residuals found in UK water that also provide a purchase for oils and organic material. Just leave in overnight (12 hours) then drain and clean your spa shell. 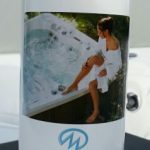 It is good practice to regularly flush your hot tub plumbing to remove the deposits that biofilm anchors to, thus reducing your use of chlorine. Half a bottle deals with a typical 1500lt spa. 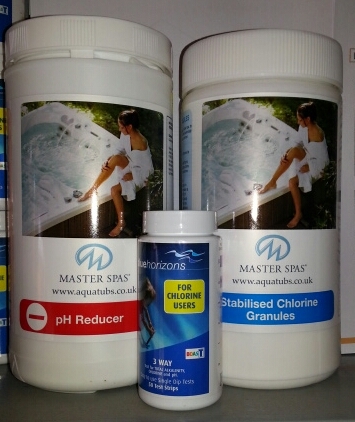 Unbeatable quality at an unbeatable price – our finest professional quality stabilised pure chlorine granules. 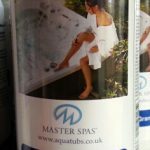 Easy to use and store European standard 1 kg durable tubs. 1Kg Chlorine Granules!, Test Strips!, Ph Minus! 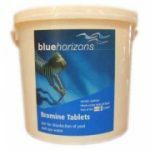 Blue Horizons Bromine Tablets 1kg are an alternative sanitiser to Chlorine and designed for use in bromine feeders and floating dispensers. Blue Horizons Bromine Tablets are ideal for daily dosing of your swimming pool or spa, to produce free active bromine which kills bacteria and other potentially harmful organisms. 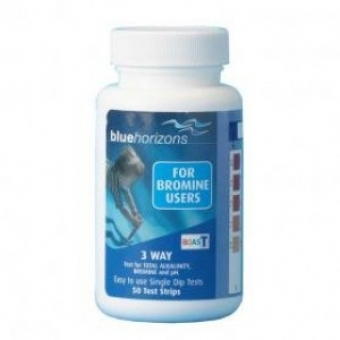 However unlike chlorine, bromine remains effective at higher temperatures such as those in a spa, and it doesn’t smell like chlorine. Cartridge Cleaner enables you to chemically clean the filter the filter. Grease, oil and trapped debris are removed, thus restoring the filter to optimum efficiency. 1 Litre. Immerse Cartridge Cleaner is a rapidly soluble formula for cartridge filter cleaning and the removal of scale, rust, oils and greases. 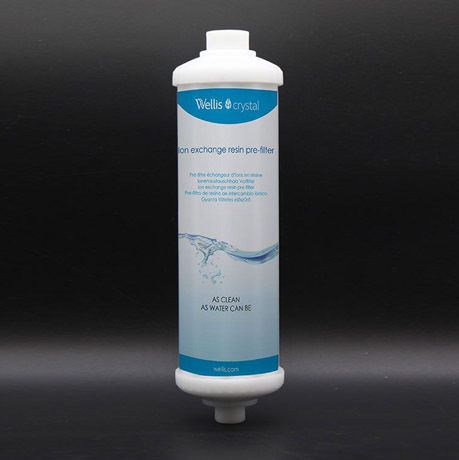 Keeping your spa filter clean is vitally important if good water quality is going to be achieved, (see Filtration section) and Immerse is the easiest and most effective way to clean your cartridge filter element. Supplied in a 100g sachet means the application is simple. All you have to do is add 1 x 100g sachet to a bucket containing 20 litres of water then immerse your cartridge element in the solution and leave it to soak overnight. Next morning rinse the cartridge element thoroughly and allow it to dry before returning it to the filter housing. Immerse will rid your cartridge element of scale, oils and greases and restore filter efficiency. 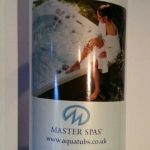 Due to the rapid circulation and aeration of spa water, unsightly foam can appear on the water surface, especially when oils and lotions are within the water. 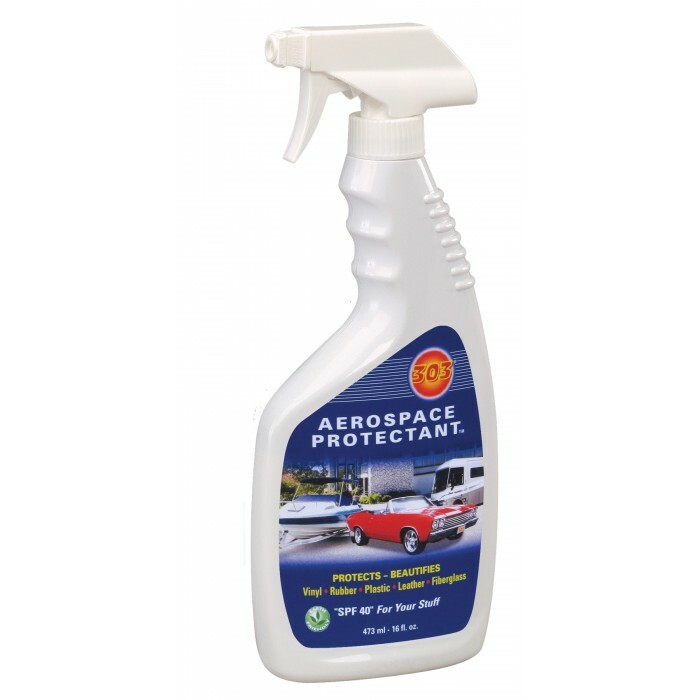 Spa Foam Away should be used regularly to prevent and control excess foaming. When used as per the directions foaming should rarely become a problem. If excess foaming is a continuous problem, partially drain the spa and refill with fresh water. 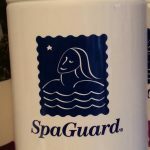 50 Spa and Pool Test Strips. Tests for pH, Chlorine and Alkalinity levels. 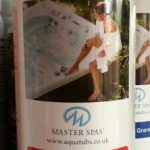 Simply Dip and Remove, wait for 15 seconds and compare the colour reading chart on the bottle and add the relevant Tub chemical to adjust for the perfect water conditions. Full instructions provided with each set of strips. 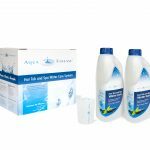 Bulk Quantity Swimming Pool Chemicals – NOT Suitable for spa use. Add Chlorine Tablets to your large floating dispenser, skimmer basket or automatic feeder to maintain the chlorine levels at 1-2 mg/litre (ppm). Do not place directly onto pool liners or pool surfaces as localised bleaching may occur. 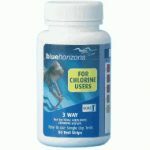 A fully dissolved 200g tablet will increase the chlorine level by approximately 1mg/litre per 100m3 pool water. 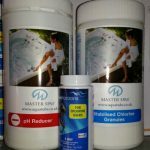 Concentrated chlorine granules for shock dosing swimming pool water, to kill bacteria and break down organic contaminants. 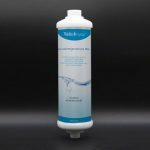 This strong granular oxidising product is ideal for when chlorine levels are high or when high chlorine levels are not desired. 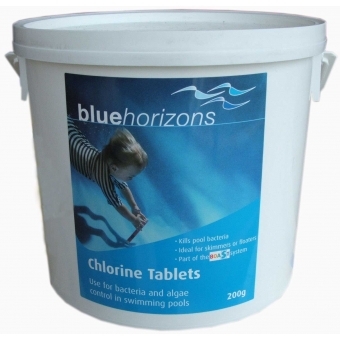 Test the pool water with a suitable test kit to determine chlorine levels. A weekly shock dose is recommended to remove algae and bacteria and prevent any build up of resistant strains. To increase the chlorine level by 1mg/litre (ppm) add 150g shock granules per 100m³. 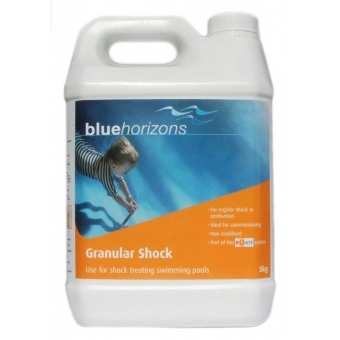 Add shock granules to raise the chlorine level to between 6-10 mg/litre (ppm). Application. Dissolve the Shock Granules in water in a plastic bucket. Add solution to the pool water near return inlets. Simple 3-way testing with a single dip. Measure Bromine, pH and Total Alkalinity. Each tube consists of 50 single-use test strips. Spa Fusion shock treatment. 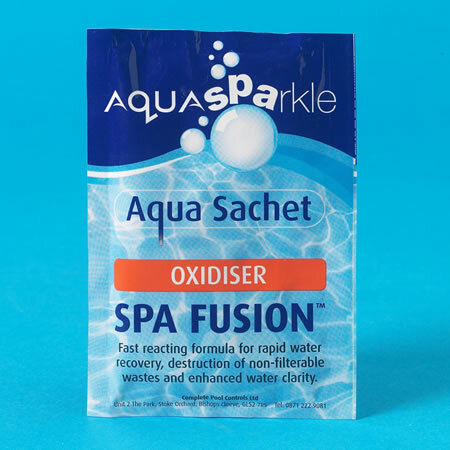 Spa Fusion is a blended product where ingredient each performs an important role, a non-chlorine oxidiser breaks down chloramines and bromamines, Di Chlor super oxidises removing odours and irritating compounds, a flocculant/clarifier, aids filtration of ultra-fine particles and a pH buffer against swings in pH balance. 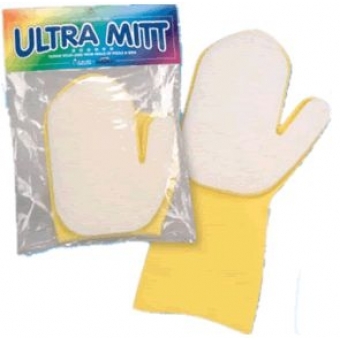 Unlike other products, bathers can enter a spa after only 15 minutes after application. 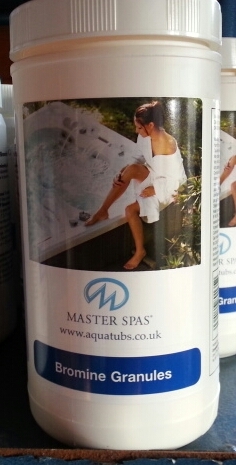 1Kg Quality Spa Non-Chlorine Shock / Hot Tub Non-Chlorine Shock. 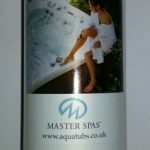 Can be used with Twilight, Master Spas and Down East Spas Eco Pur system for shock treatment. 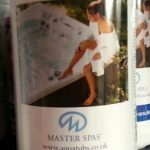 Depending on how carefully you are looking after your Hot Tub water Non-chlorine shock can be used to “shock dose” your spa water weekly or every few days. This is an alternative to chlorine shock treatments and oxidises organic wastes such as body fats, oils and perspiration as well as cosmetics and aromic products. 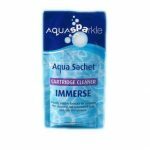 Used in conjunction with Spa Sparkle water, clarity is much improved, assuming quality filters such as Pleatco are being used. 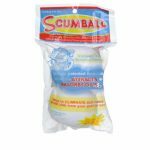 Scum Ball floats on the surface absorbing body oils, lotions and contaminants. Keeps the filter cleaner for longer. 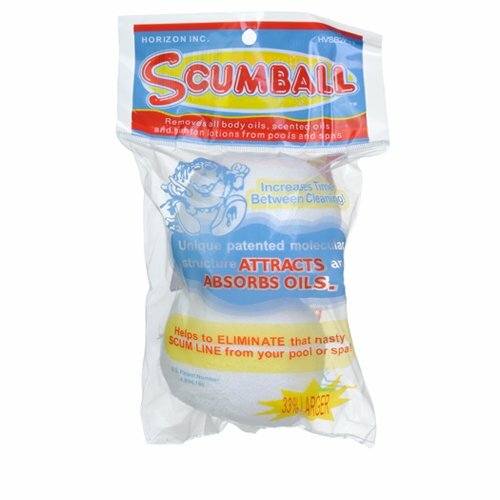 Two balls are supplied to soak up the oils and scum on the water surface. Improves filtration and extends filter life! A heavy gauge latex glove with an abrasive scrubbing pad bonded to it, perfect for cleaning scum and grime off spa and pool walls. Now you can stop scale and hard water right from the start. 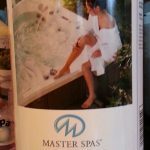 By simply filling your spa or hot tub via this plugin treatment unit you can remove the calcium in water before you start! A special Ion exchange formula inside will remove calcium and magnesium and replace it with nice soft sodium instead. Just like a household water softener. 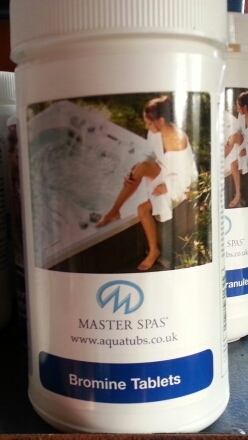 Safe for use with all spa treatments and sanitisers. Can be used 6 -8 times for up to 2 years – So great value for money! 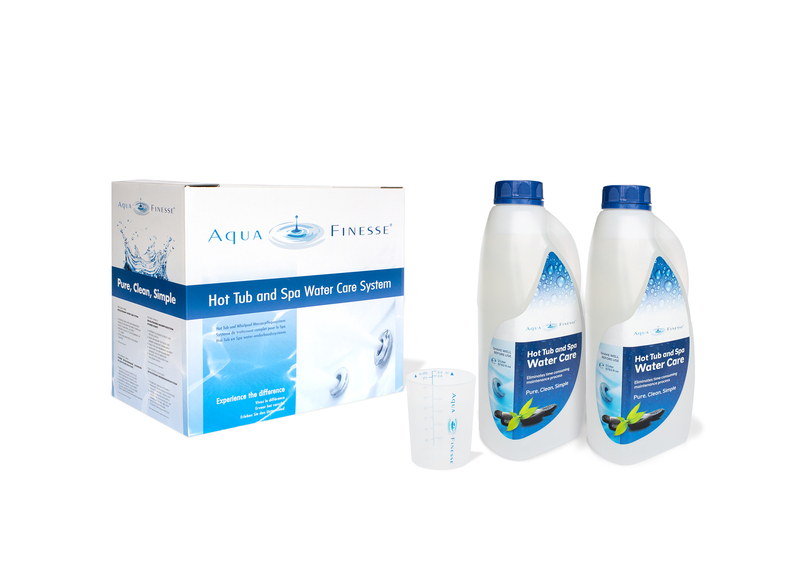 Eliminates Calcium from tap water before entering your spa! This clever product brings a sparkle to your spa water by coagulating fine particles in suspension to larger particles that are then trapped in the filtration. 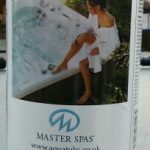 It is always worthwhile cleaning the filters a few days after treating your hot tub with this product. Full instructions are on the bottle and this is a concentrated solution for ease of dosing. 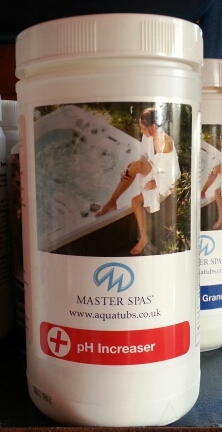 The above product has been formulated for hot tub use. 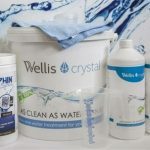 Wellis crystal is an environmentally friendly water care system that can be used in your spa or hot tub. 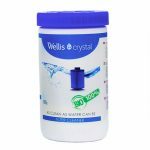 Wellis crystal will help you to keep the water in your spa clean, in a safe, simple and effective way. With only one weekly treatment Wellis crystal will help you prevent calcium deposits in your system. 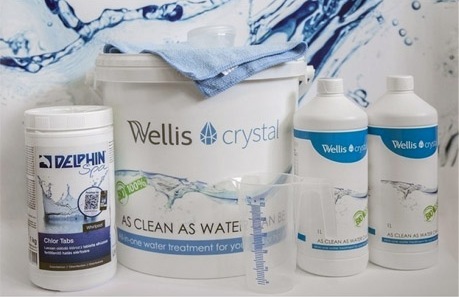 Wellis crystal will loosen and remove existing calcium deposits. These calcium deposits are the medium where bacteria and other micro-organisms grow. The ozone or UV-system already in your spa will do the rest. It will destroy the bacteria and disinfect the water, with extraordinary results. 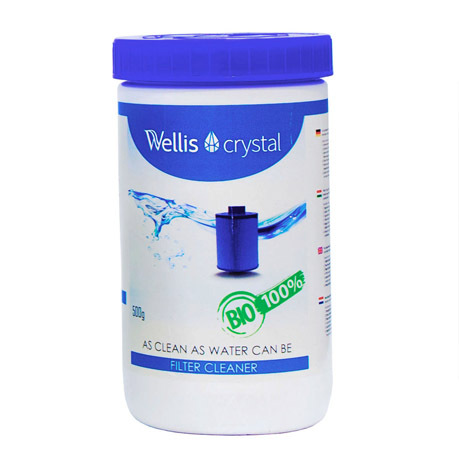 For crystal clear jacuzzi water, clean your pool’s filter once a week with Wellis Crystal Filter Cleaner. Simply remove the filter and add the solution to a bucket with 10 litres of hot water and leave the filter for an hour to an hour and a half and rinse before replacing. Cannot see the chemicals you need or have questions about correctly ordering then give us a call on 0118 940 6002 or 01895 347915. Or drop us an email at sales@aquatubs.co.uk or via our contact form.